At various times in the life of a company there are going to be requirements for outside assistance in order to grow the business. One requirement will be the need for additional capital. Choosing which financing vehicle is best for your company is very important. It’s choosing the right tool to fix the problem. Deciding whether to seek out equity capital or debt financing is the first step. Usually companies trying to get equity capital are very early stage with little or no real assets. While companies on their way to a steady growth curve use debt financing. Without a doubt, first and foremost on any equity capitalist’s due diligence list will be the management team. Even before the idea itself, it is commonly stated, great idea’s with a bad team will get nowhere, whereas, bad idea’s with a good team still have a chance to make it big. You should also realize, that once invested, the equity capitalist will be having an active role in the decision making of the company. Because they have "bought in" to your company they are now your partners, how active they become needs to be sorted out up front. Conversely, raising capital through debt financing does not entail "selling" your equity, but instead works by "borrowing" against it. Debt financing is only available to business owners who have something of value that the lender can instantly liquidate. The debt finance company is not interested in becoming a partner in your endeavor, instead they are in business to make money from their money, letting you use it for periods of time. Like equity financing there are a variety of methods available to raise debt financing. Traditional banking will always be the least costly source for your financing, but along with that bankers are not in business to take on risk. When they ask for three years of company tax returns its because they want to see a steady reliable set of profitable growth numbers. Borrowing from the bank relies on two variables, the collateral that secures the loan, and your ability to repay the loan. 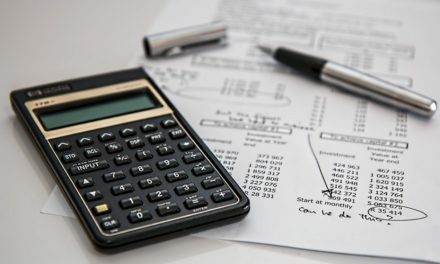 You might have enough collateral, but if your business is losing money, the bank can’t expect you to handle the added expense of loan payments. Many early stage companies turn to private commercial financing which is better suited to deal with riskier issues. Factoring companies use the loans you make to customers (invoices for finished work) as the collateral for their loans. Here the emphasis will be the creditworthiness of your customers rather than the credit of your company. Equipment leasing companies will allow you to purchase new equipment and pay for it over time, usually three to five years. When seeking outside capital, whether equity of debt, remember that certain sources are familiar and like to work with particular industries. Take the time to look around and be sure that the source you are considering is well-aquatinted with your type of business. Gary W. Honig is President of Creative Capital Associates, Inc. a accounts receivable factoring company providing operational capital to emerging businesses nationwide.